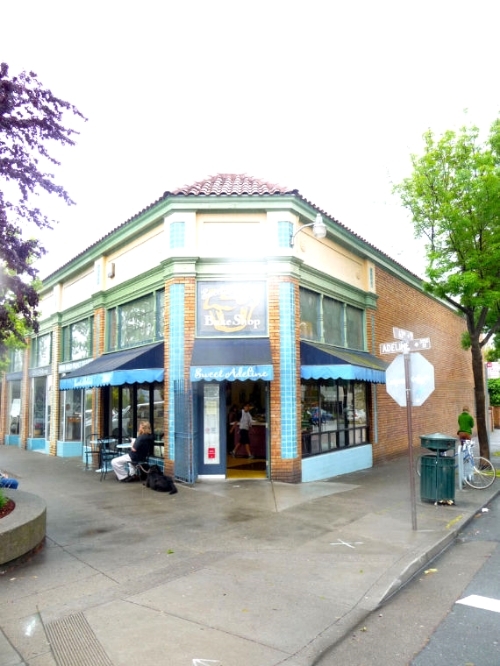 The other day I finally stopped by Sweet Adeline Bake Shop in North Oakland. I heard that this place was the neighborhood hang-out with excellent pastries made in true East Bay style - handcrafted with all natural ingredients. I was greeted with a smile by Samuel and enjoyed a fantastic cheddar cheese and scallion scone! I have to go back for the chocolate chip cookies made with three types of chocolate. (I hear this is their best seller.) 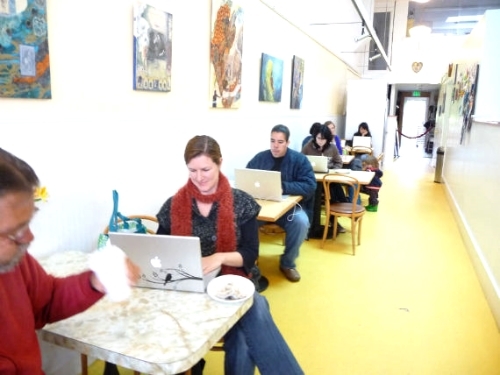 At Sweet Adeline's you can order coffee, grab lunch and use their free wifi. This is exacting what Oakland needs, local businesses with friendly service and quality goods. Check Sweet Adeline Bake Shop out online at sweetadelinebakeshop.com or at the corner of Adeline and 63rd Street in North Oakland.